A week ago tomorrow Simon and I stepped off the Jatbula Trail, having walked more than 60km from Nitmiluk (Katherine Gorge) to Leliyn (Edith Falls); and there we celebrated completing the walk (and made up for six days of freeze-dried food) with barra and buffalo burgers and scrumptious rosella and plain scones hot and crusty from the Leliyn kiosk oven. Graded moderate because of its length and the need to carry a backpack rather than its profile, the Jatbula Trail traverses relatively flat country from waterfall to waterhole to gentle rapids, following a route trodden for millennia by Jawoyn aboriginal people. So we were delighted to find ourselves camping, and sometimes walking, with a couple from Tasmania, two work colleagues from Brisbane, and a group of Jawoyn, two Jawoyn Rangers, a father and six community children walking the track, all for the first time, as part of a school holiday program. 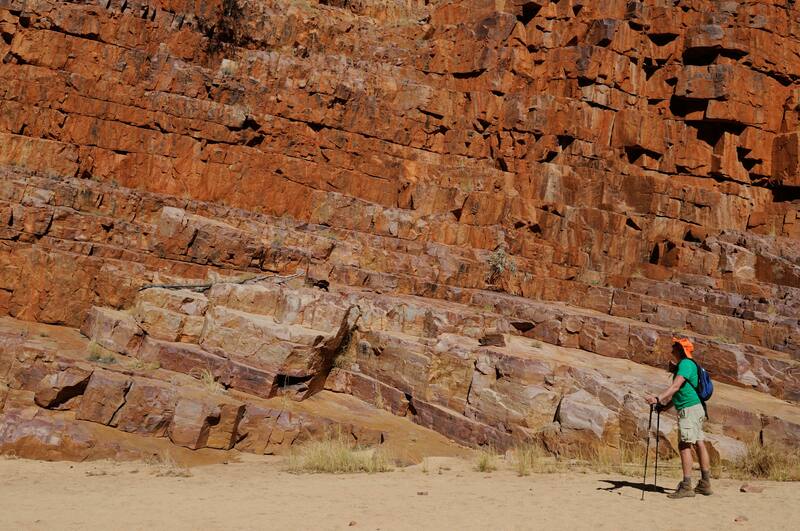 Their company added an unexpected extra cultural layer to a week of geology, birds, subtly changing environments, refreshing swims, and rock art sites, that otherwise would have been limited to a close encounter with an extraordinary ochre female figure who lured men to their doom! 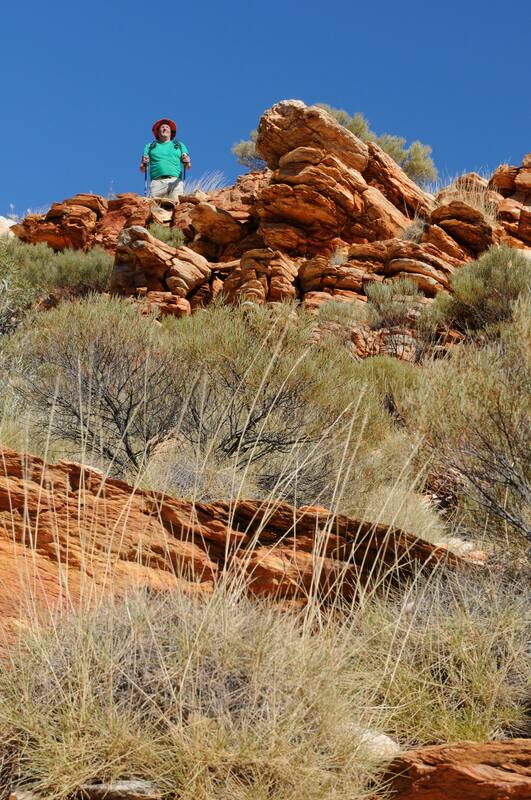 Tags: Australian aborigines, Australian flora, bushwalking, exploring the Northern Territory on foot, getaway, hiking, history, indigenous Australia, natural therapy, Northern Territory on foot, on foot, outdoors, overnight bushwalks, overnight hikes, overnight hiking, swimming, take a walk, the great outdoors, wildflowers | Permalink. 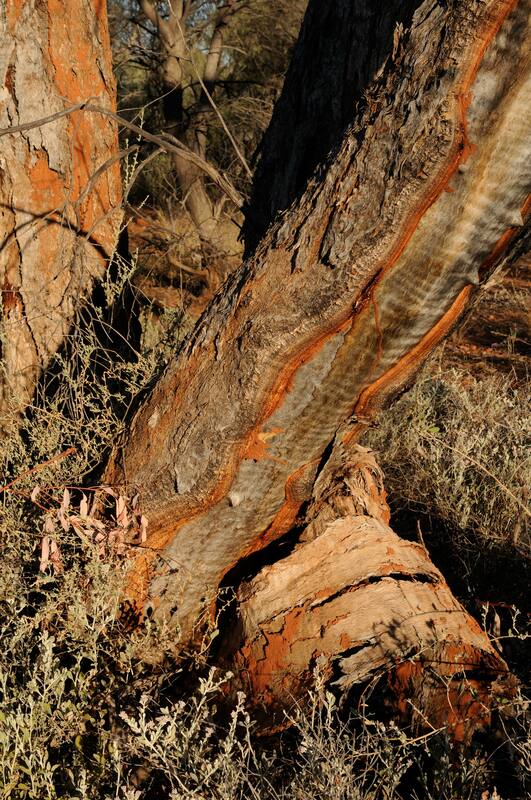 I’ve visited Australia’s Red Centre several times in the last thirty years yet each time I return the colours still surprise and delight me – ancient ochre rock, subtle shades of green across hardy desert plants, chalky white ghost gum stripes, all against a blue sky backdrop. So does the sun’s power to wash out those colours in the middle of the day, when I am, unfortunately, often out walking with camera at the ready, and to intensify them at dawn and dusk. 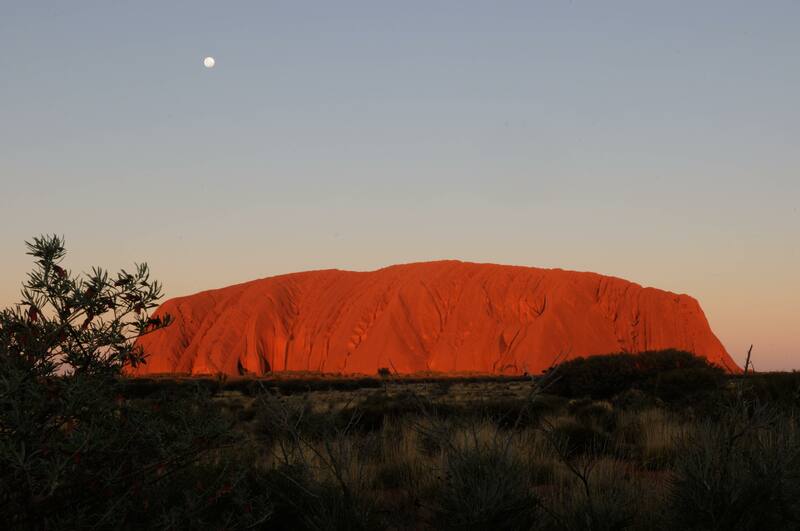 Uluru takes on many different hues during the day. Over the last week Simon and I have done five walks with colours and textures in common yet all distinctly different. 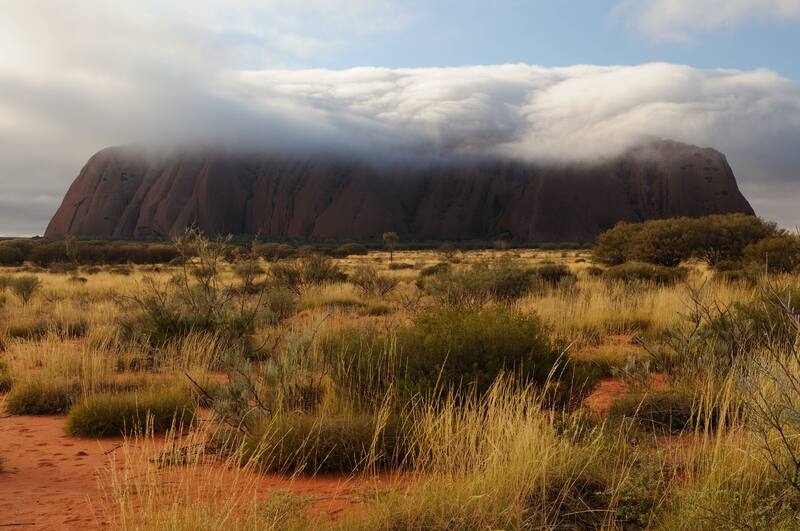 We circumnavigated Uluru, delighting in its curves and crevices and the stories about their creation; trod the Kings Canyon rim walk, sans chiffon and killer heels – why attempt to best that famous scene in The Adventures of Priscilla, Queen of the Desert, when we were doomed to fail? – and teetered on the edge of cliffs that are vertiginous even in hiking boots; wandered through a grove of red cabbage palms dating back to the Gondwana era and watered by the world’s oldest river; climbed to the highest point on the Larapinta Trail, to look out over mountain ranges worn by time from Himalayan heights; and, our current pick of the five – have you got a favourite outback walk? – approached Ormiston Gorge from the vast pound behind it, rock-hopping back to the car down a corridor of fractured, sloping, layered stone rearing skyward. Each walk was like stepping into a painting. See what I mean! Tags: Australian flora, bushwalking, colours, colours of Australia, escape, fresh air, getaway, hiking, natural textures, natural therapy, out and about, outdoors, take a walk, textures, the great outdoors, wildflowers | Permalink. 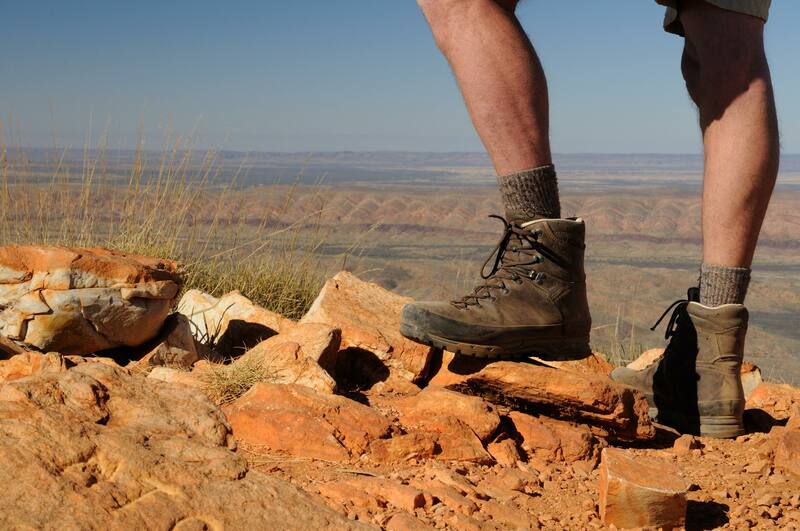 Simon and I last visited the Flinders Ranges about three years ago, to do the 3-night private, guided Arkaba Walk – think canapés on arrival in camp, hot water bottle to warm your swag, wine and gourmet meals, and final night in the historic homestead. During the course of that wonderful journey across Wilpena Pound (on the Heysen Trail) and in the lee of the magnificently striped Elder Range on private Arkaba Station, we made friends with the couple who run the walk and station stays, Brendan and Cat, who generously allowed us to camp behind the station’s historic stone woolshed on our return. So this time around we began each morning looking out of our tent at first light on the Elder Range. Wilpena Pound is a geological artwork, a great rock bowl at the heart of the park and Adnyamathanha creation stories (the highest point, St Mary’s Peak, is the head of one of two serpents who surrounded an important corroboree and ate the participants, after which their bodies turned to stone). The best vantage points for appreciating the shapes and the textures of the pound and the park are deep down in its folded gorges and up in the air. 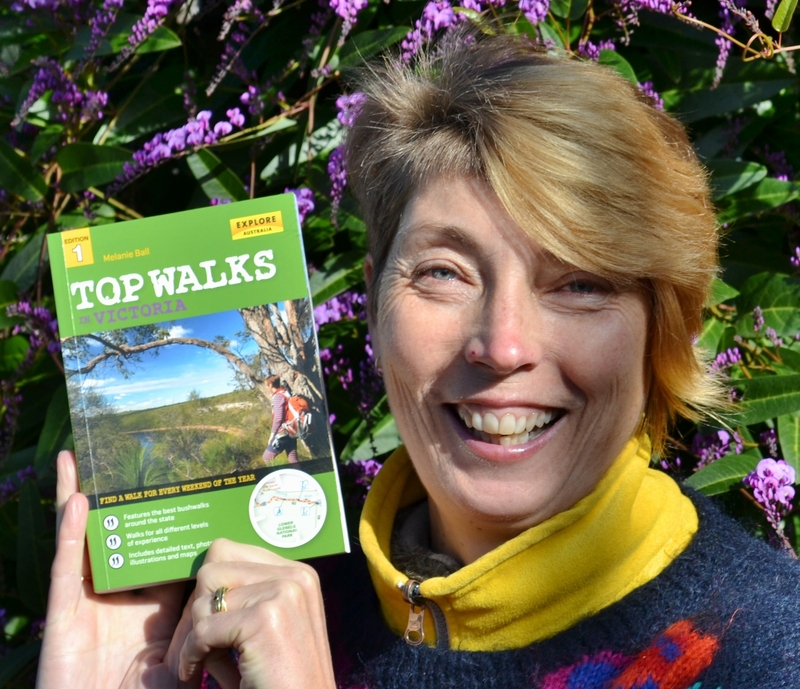 Having limited time and neither the money for a scenic flight over the pound nor the aerial skills of the wedge-tailed eagles that cruise over it, Simon and I chose the Bunyeroo Gorge Geology Walk and Mt Ohlssen Bagge. Bunyeroo Gorge (8km return, easy grade) follows the Bunyeroo Creek through the Heysen Range, a product of hundreds of millions of years of geological sedimentation, compaction, buckling and erosion. We spent about 3 hours on this walk, treading a fairly easy trail along and across an often dry creek bed littered with every colour of stone – pink, red, grey, blue – chipped and smoothed by time and water. Informative posts name and describe the different rock work along the way, the calcareous shale, sandstone, quartzite, siltstone and limestone, the seafloor flute casts and stromatolites, sedimentary layers upended to vertical and buckled to serpentine curves. Our companions on the walk were majestic river red gums that have experienced hundreds of scorching summers and probably as many flash floods. In the 19th century, bullock teams and wagons loaded with copper, mail and produce took this route through the range to the western plains, and the walking trail ends at a gate beside a huge river gum where the creek broadens and straightens to run across the flat. The Bunyeroo Gorge trail is unformed and rough in places but there are no hills and this stunning walk is suitable for big kids and small. 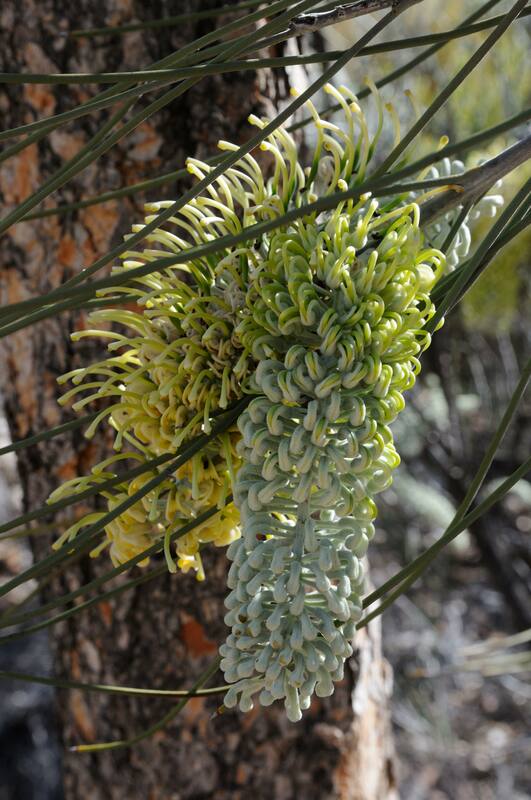 Our second walk, next day, beneath a chalky blue sky, was up Mt Ohlssen Bragge, on the pound rim. And unlike the previous day’s leg stretch this hike (6.4km return, grade moderate-hard) is steep, exposed, rocky and worth every energetic step uphill and knee-testing one down again. We passed several family groups having fun – climbing up rocks seems to have endless appeal for many children – but questioned the sensibility of one couple with a toddler in a backpack because some of the rocky slopes would be a challenge, if not a risk, for the bub-carrier. Having followed Wilpena Creek from the Visitor Information Centre and cafe (good hot chocolate) through the gap that leads into the pound, we crossed the creek and climbed from leafy, riparian eucalypt forest up through native pines, she-oaks, grevilleas with pretty, curlicue red-and-green flowers, and acacias with wattle blossoms 1.5cm in diameter (the biggest I’ve ever seen). Climbed and climbed to a rocky aerie on the pound’s rim (and then down again). It’s a gobsmacking view from up there, taking in Wilpena’s battlement-like walls and flat floor, the distinctively striped battlement-like Elder Range and the plains to the east. 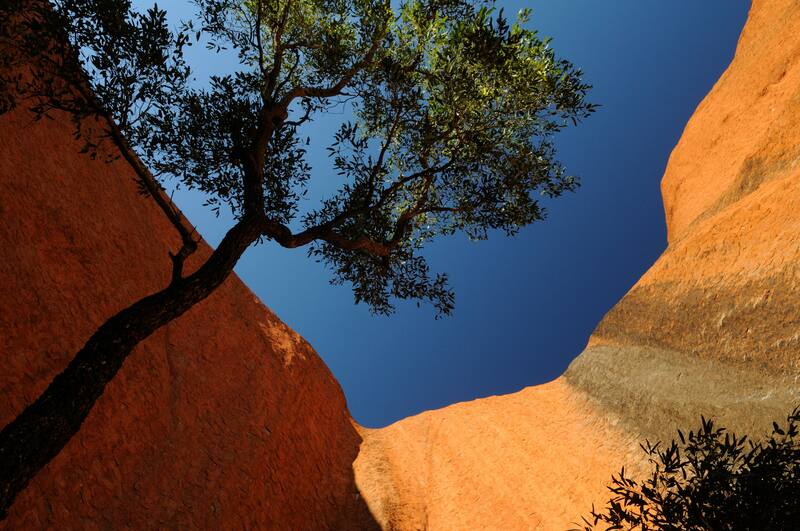 You could spend days exploring the wonderful nooks and crannies, the big-sky views and the many cultural sites in and around Wilpena Pound but if you have the time – or energy – for only a couple of outings on foot then I reckon that Bunyeroo Gorge Geological Walk and Mt Ohlssen Bagge are the perfect double bill. 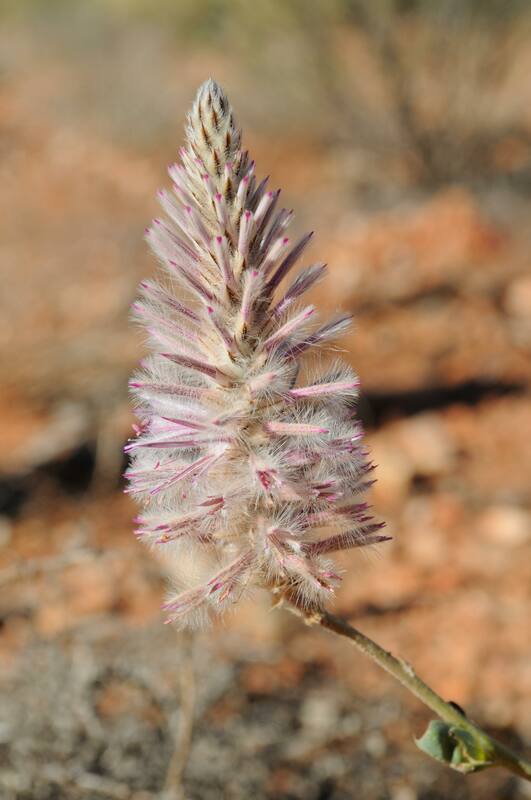 Tags: Australian flora, bushwalking, escape, exploring Australia on foot, exploring on foot, getaway, hiking, natural therapy, on foot, out and about, outdoors, pedestrian exploring, take a walk, the great outdoors, the outback, wildflowers | Permalink.